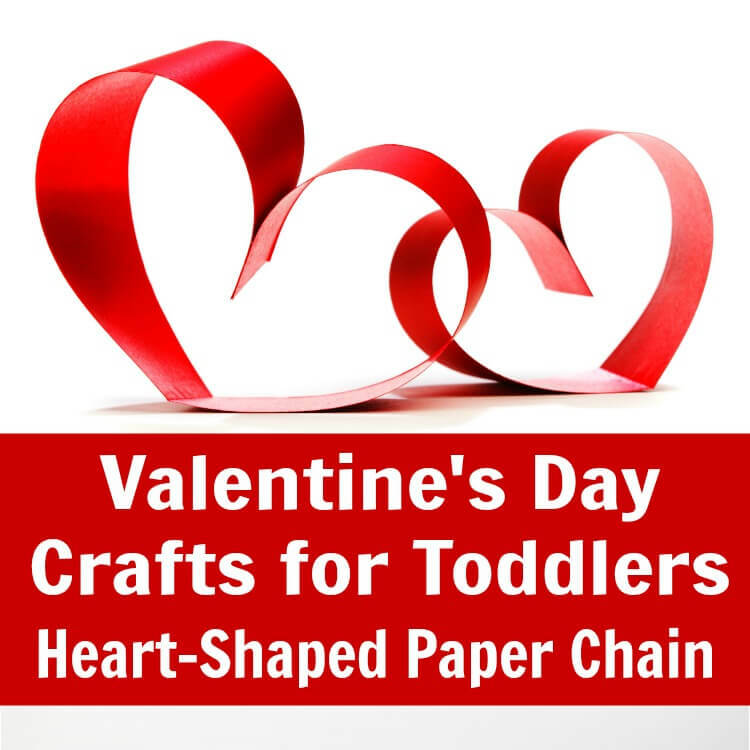 Join us to make this fun, simple, and decorative Valentine’s Day heart paper chain garland. 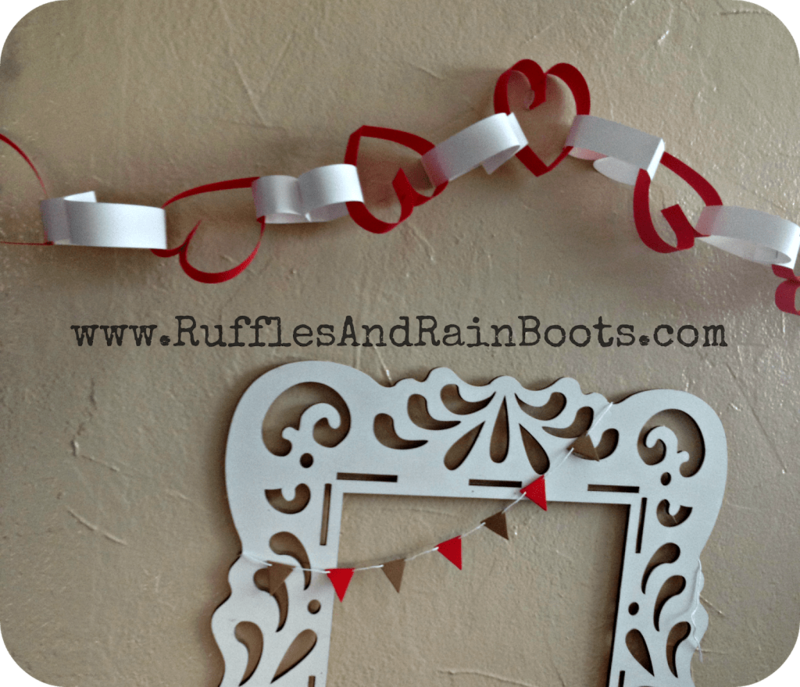 It’s a great Valentine’s Day craft for kids! 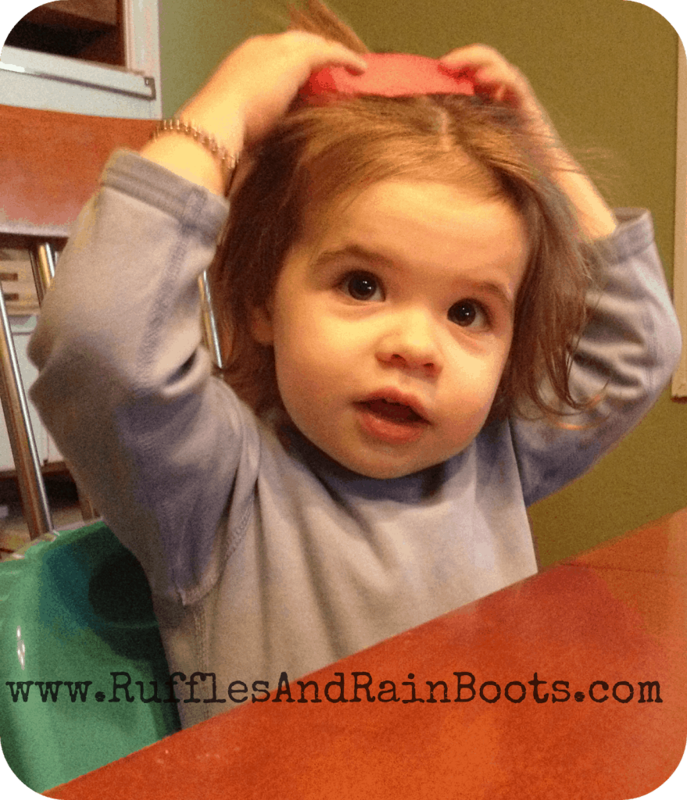 I might have created a toddler craft-monster… But at least she has good manners. This quick and easy craft for kids is done in no time at all! I operated the paper cutter and Elise helped to shape the hearts. Cut paper into ~about~ one-inch strips. We used red and white for Valentine’s day. I couldn’t have been bothered to add pink at the time, but feel free to go all ‘willy-nilly’ with your color choices. Create heart shape and staple (or tape) the ends together. 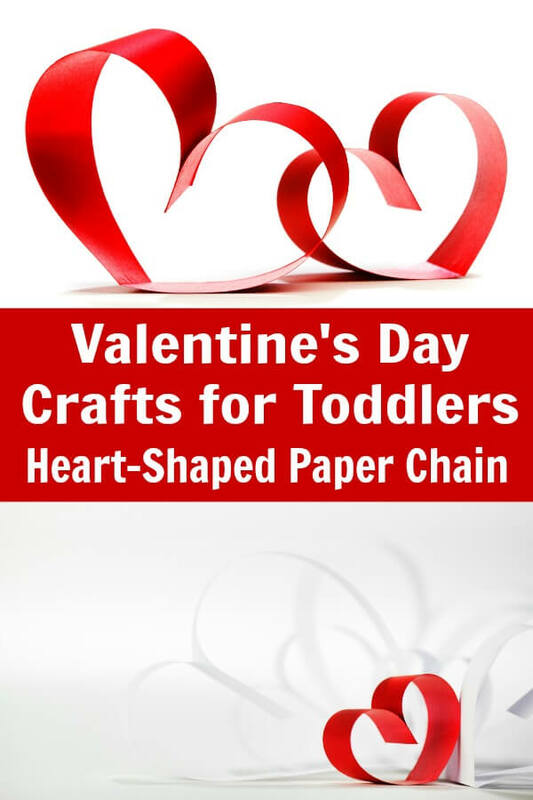 Create another heart shape after you have linked the paper through the first heart you made. We used alternating red and white hearts. 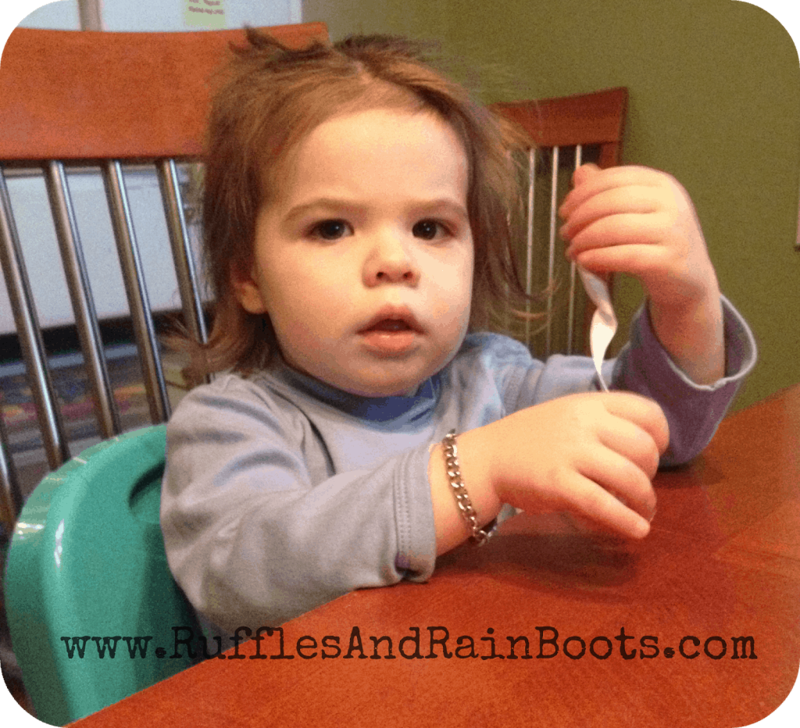 Hang your paper chain and basque in the cuteness. Until dinner is done. Elise really liked twisting the paper strips, even though she couldn’t quite form them into a heart shape. She would try, then hand them over to me and ask for help. The garland is hung in Elise’s toy nook in our living room. We put some of her artwork, crafts, and this heart paper chain garland on the wall at Elise’s level, right in front of her living room toy box. Elise likes to bat the ends of the heart paper chain garland to watch the whole thing move. She just laughs and laughs. Sometimes, she even talks to her creations… Ah, that Moose was a big hit around here. I read this one (and others) to your Auntie Ei this week. She wants to give the site to some of her friends and co-workers. She says you are a gem and her great niece is BRILLIANT!